Registration for the 2016 Sandia Wind Turbine Blade Workshop is now closed. We look forward to seeing all attendees and presenters in Albuquerque, NM, for the Aug. 30–Sept. 1 workshop at the Embassy Suites Hotel. Follow #WindWrkshp16 for workshop updates. The 2016 Sandia Wind Turbine Blade Workshop brings together wind energy professionals from industry, universities, and national laboratories to discuss challenges, issues, and solutions related to wind turbine blades. The Sandia National Laboratories Wind Energy Technology Department, funded by the U.S. Department of Energy (DOE), is recognized as a leading research group in the United States for wind blade technology. 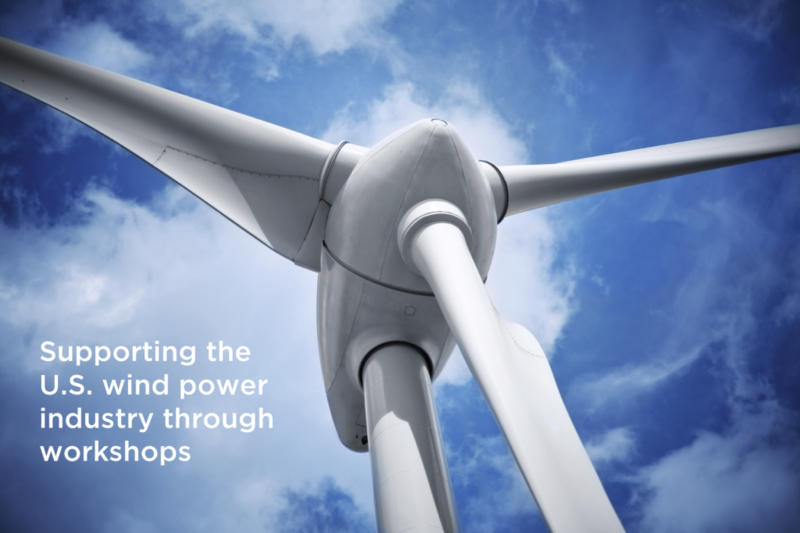 Sandia National Laboratories and DOE’s Wind Program actively support the U.S. wind power industry through workshops and professional meetings in addition to ongoing research and development efforts and industry partnerships. The Sandia Wind Turbine Blade Workshop, hosted by the lab every other year since 2004, has become a highly anticipated event bringing together an international group of participants and speakers. In 2014, the Blade Workshop included over 40 presenters, and over 200 attendees from 13 countries. We look forward to seeing attendees and presenters at the Embassy Suites in Albuquerque, New Mexico, August 30–September 1, 2016, for the 2016 Sandia Wind Turbine Blade Workshop. The special-rate room block at the Embassy Suites by Hilton Albuquerque Hotel & Spa has sold out. Rooms are still available, however. To make a reservation, click on “Book a Room” or contact us directly for individual assistance, and let us know that you have already registered for the Sandia Wind Blade Workshop. See you in August! We hope you enjoy your stay and the event!